Thank you for visiting our Emergency Medical Services web site. 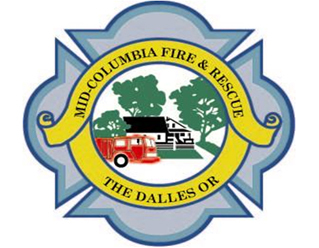 The statement you have received is for an ambulance transport provided to you or a family member by Mid-Columbia Fire & Rescue. You may find the following information helpful. If we do not have insurance information, a request was included with your statement. If we have insurance information, the insurance company has been billed and the statement reflects any remaining balance that may be due. If there is any other insurance that can be billed, please provide us with that information. You may download and fill out the insurance information form to the right and mail, fax or email a scanned copy of it to the billing service department. Financial Assistance is available to those who are eligible. If you or your family’s annual income is at or below the national poverty guidelines for this area, an application may be downloaded using the link to the right. A convenience fee will apply when making payments by credit card or eCheck. For credit cards, the fee is 2.95% of the invoice amount (Minimum Transaction Amount: $2.00). For eChecks, the fee is $3.00. - ONLINE: To make an online payment, click the Payment icon to the right. - PHONE: To make a credit or debit card payment over the phone, contact our Billing Services department at (800) 238-9398. Please contact our Billing Service department at (800) 238-9398 if you wish to make other payment arrangements. 1) Call our billing service department at (800) 238-9398. Please refer to the account number located on the top section of your statement.